Part of the fun of being a Cape Town wedding planner, is seeing all the creative and unique items we can custom make for our couples to share at their weddings. Here I’d like to share some of my favourite and most memorable custom stationery items that we have organised over the years of wedding planning in Cape Town for some of our favourite weddings, which, I’m sure you could agree that as Cape Town wedding planners, we are spoilt for choice! I LOVED this gorgeous wedding! 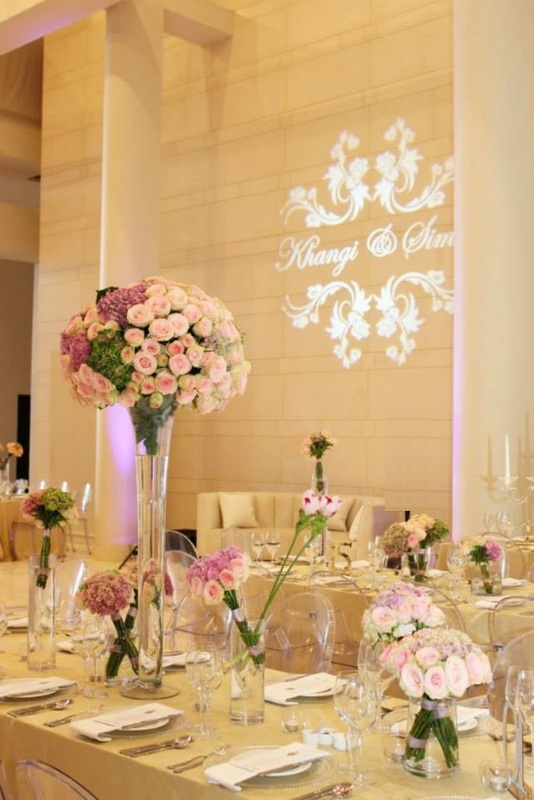 Khangi and Simba’s wedding at The Forum in Johannesburg for 250 VIP guests was an absolute stunner! One of my favourite parts of this wedding was the intricate custom gobo light we had designed for the celebration, that was projected on the wall above the dance floor. 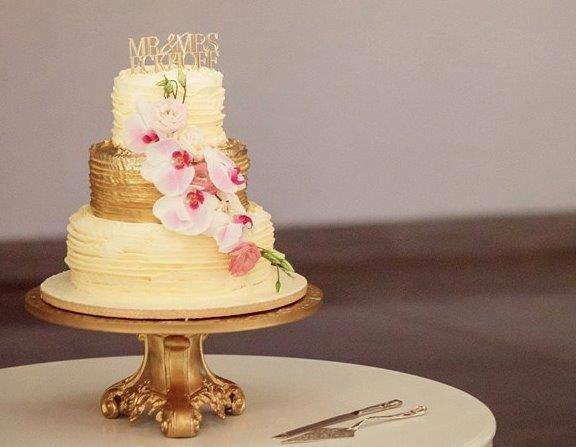 This utterly scrumptious three tired gold and white cake, made by our favourite cake designer, Wades Cakes, for Simone and Hagen’s wedding at Molenvliet, was draped in pink orchids and topped with a custom made, gold Perspex, laser cut cake topper, proudly announcing the couples newly shared surname. 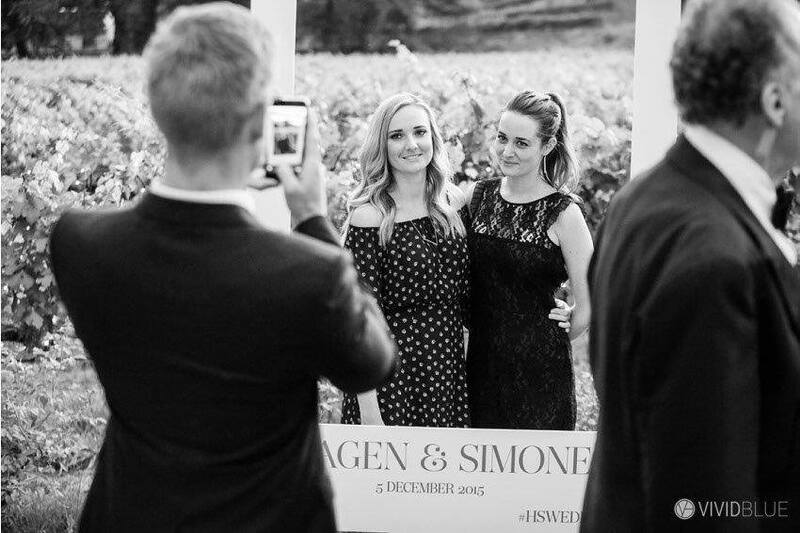 Guests at Simone and Hagen’s wedding at Molenvliet had a blast posing for pictures behind this fabulous giant Instagram frame, which a modern twist on the classic wedding photo booth we all know and love #cuttingedge #awesomeweddingstationery. 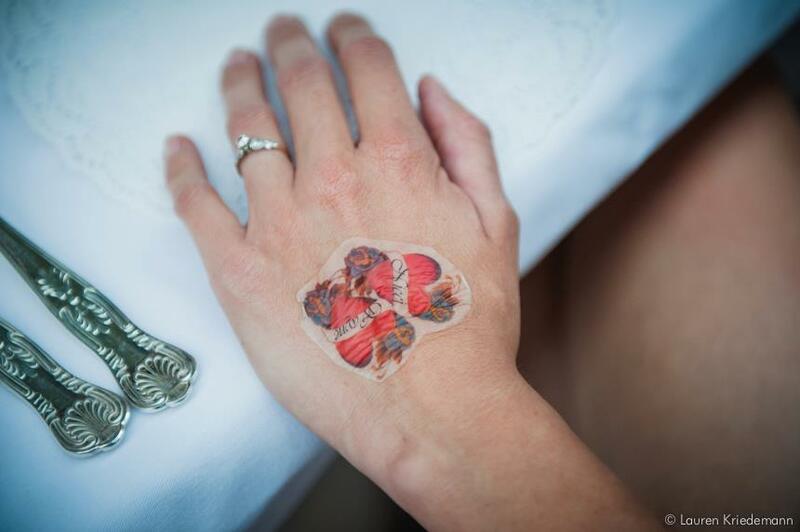 Since I was marrying pretty much one solid head-to-toe tattoo, for my own wedding (Nicci and Wayne’s wedding at Groot Constantia), we custom made our own DIY temporary tattoos for our guests with different quotes and pictures, and our everyone loved them! 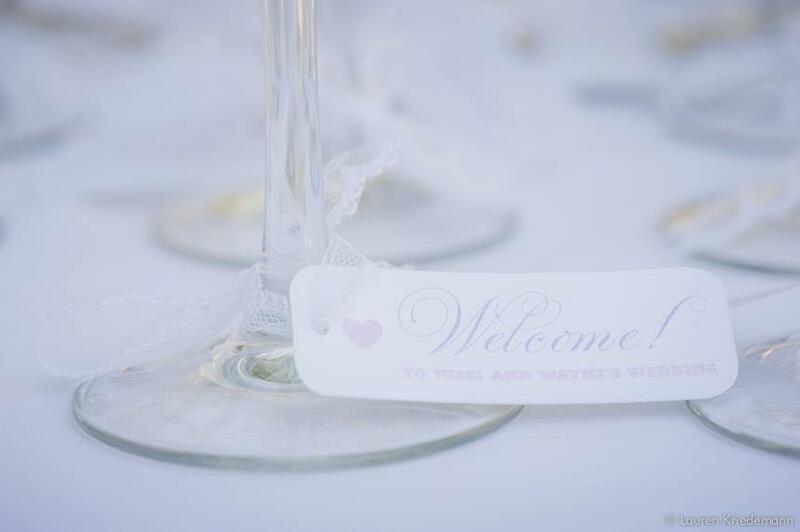 Also from my own wedding (Nicci and Wayne’s wedding at Groot Constantia), these sweet “welcome” tags, made by Secret Diary, were the perfect way for guests to receive their welcome drinks as they arrived at our wedding day. Once ceremony aisle petals have been delicately placed in their exact spot, we certainly don’t want them disturbed by guests trampling on them while taking their seats before the ceremony, so what better way to keep the aisle clear before the bride walks down, than this custom made banner that says “This is where our story begins” on hessian fabric, for Helen and Murray’s wedding at Grande Roche. 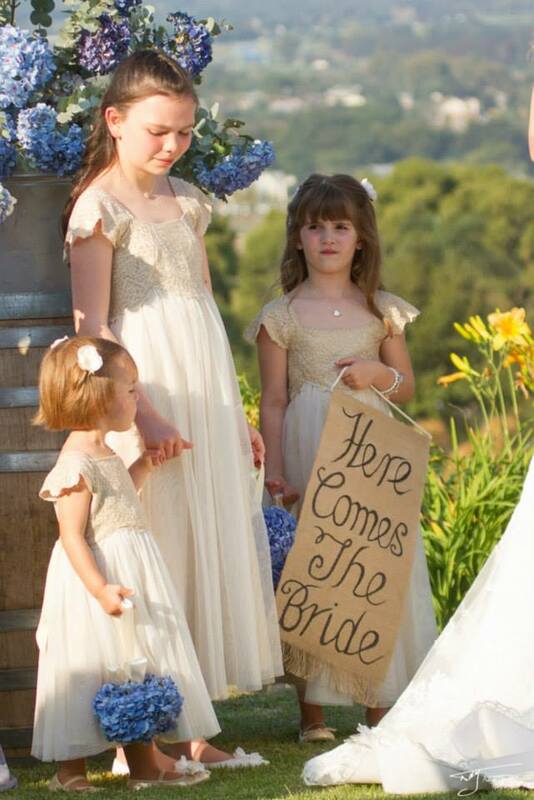 When your flower girls are this adorable, the only thing left to add is this sweet “here comes the bride” sign on hessian fabric, used at Helen and Murray’s wedding at Grande Roche. 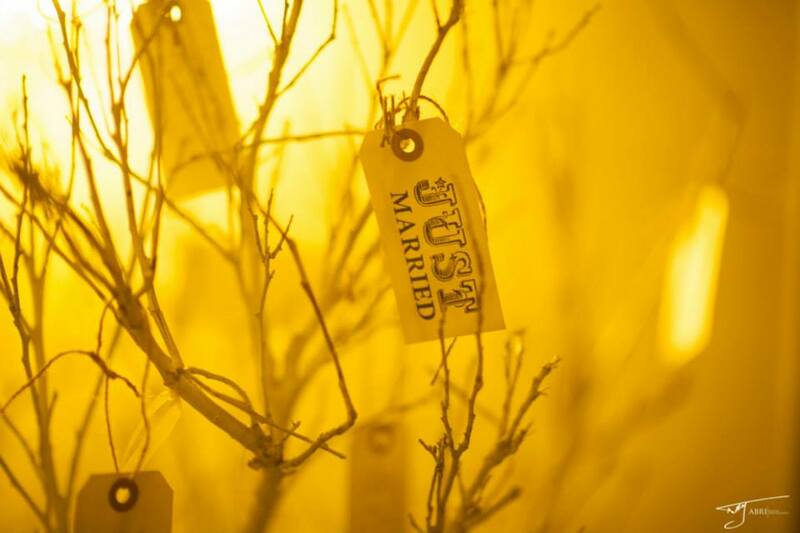 After such a gorgeous ceremony for Helen and Murray’s wedding at Grand Roche, we loved the creative use of lighting used behind this wishing tree, tied with custom made “Just Married” tags for guests to write their messages to the newlyweds on. 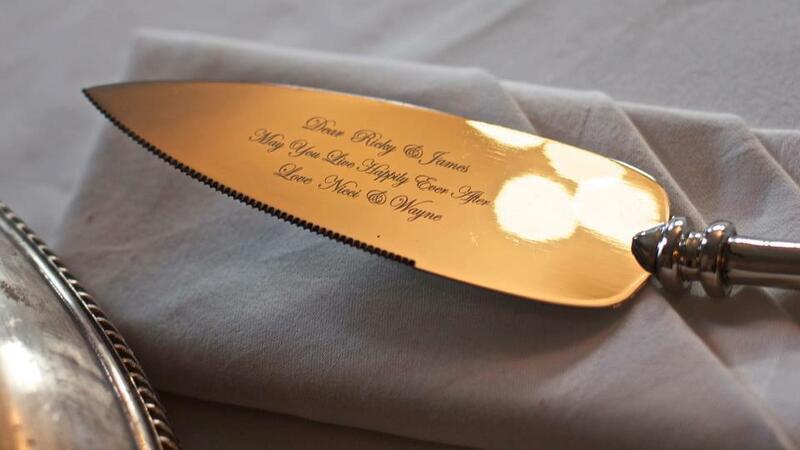 Cutting the wedding cake is a couple’s first official task together as newlyweds, so using a truly special custom engraved cake lifter was perfectly fitting for Ricky and James’ wedding in the UK. 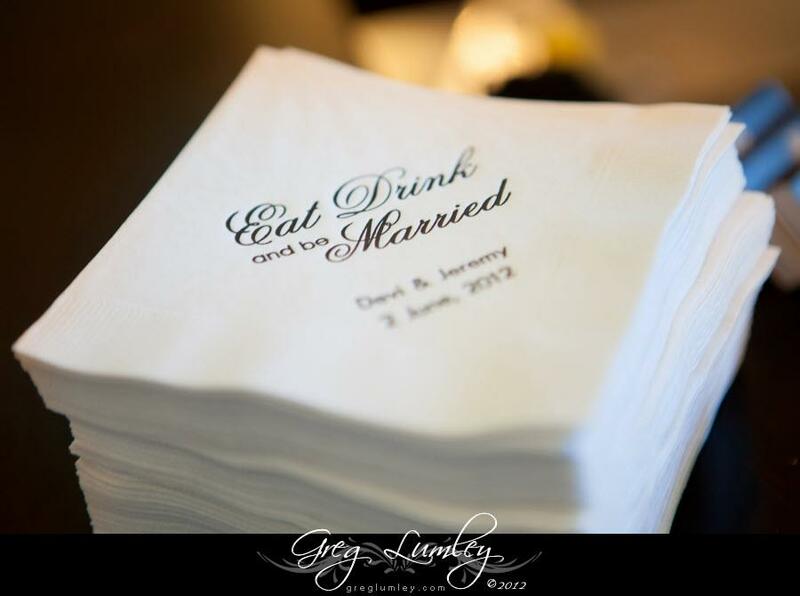 Devi and Jeremy’s wedding at The One & Only Hotel was all about the details, right down to the custom printed napkins from one of our favourite custom wedding stationery websites in the States, TheKnot.com, used during cocktail hour. There are so many fun ways to personalise your wedding and make it special by highlighting what makes you unique as individuals and as a couple. 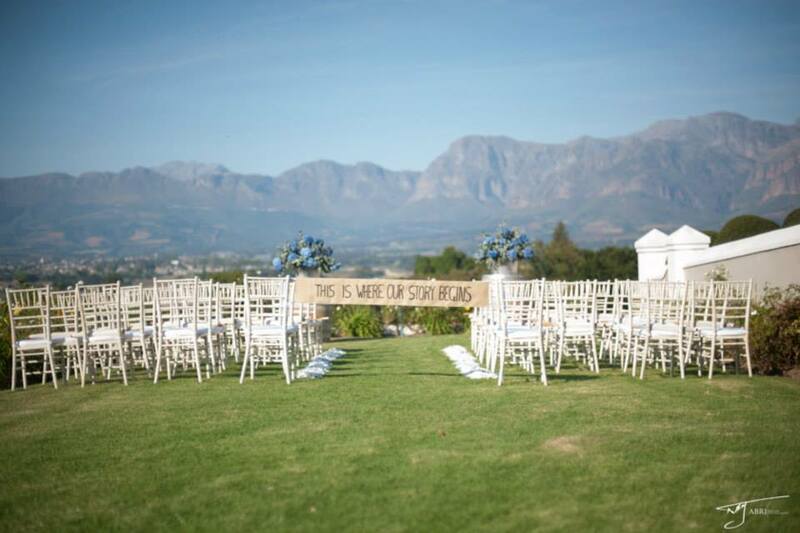 Being a Cape Town wedding planner has exposed me to some incredible and creative items out there that would be perfect for so many couples with just a small personal touch, all it takes is a little imagination.